Trista and I first connected soon after I started the Plus Size Mommy Memoirs blog over 5 years ago. Since she lives in Canada and I live in the States, the closest friendship we could form was via Facebook but I’m so happy we’ve remained in touch. 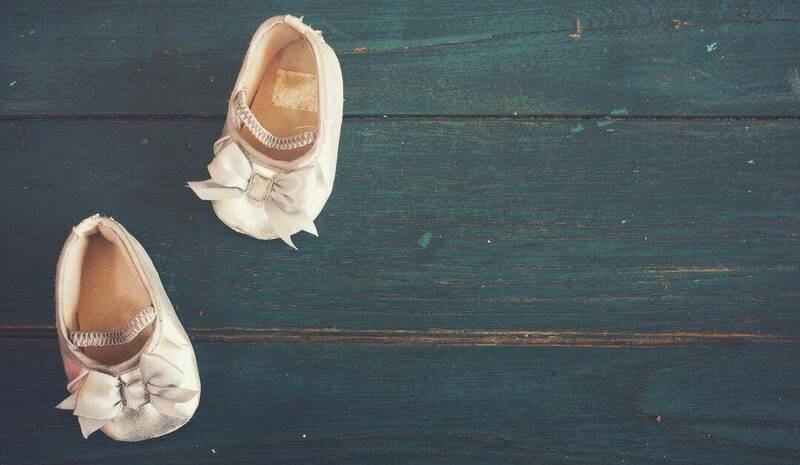 Recently Trista welcomed her second child into the world, a sweet little girl named Maya. 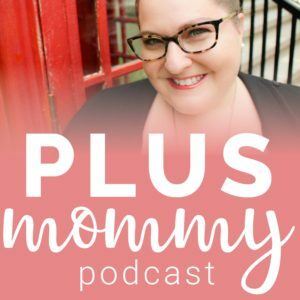 I’m so honored to share her home birth in Canada story. Enjoy! I have been meaning to write out Maya’s birth story since she was one week old, but anyone who has ever been a parent knows just how life goes once little ones are in it – not necessarily always according to plan. So here we go. She’s almost 3 months old, and it’s better late than never right? When Cade was born, I wrote out a very lengthy blog post on every aspect of labour and birth. It would be interesting if I were to recap the story. In hindsight, the birth experience wasn’t as sunshine and flowers as I think I thought it was at the time. There were some things that now with experience and knowledge, I would have done differently. But that doesn’t matter now. It was beautiful and amazing in a lot of ways, and I had the birth experience that I needed to have. After he was born I became very passionate and interested in all things pregnancy, birth and breastfeeding and delved pretty deep into that world for a bit. I’ve since surfaced but have collected and kept with me a passion and interest in birth and parenthood in general, hence why my job is in the field of supporting parents and child development. Our first appointment with our midwife, Chantal, was on December 1st. I have always had so much anxiety with medical appointments and what not, and despite knowing this model of care would be different, I was SO NERVOUS the day of the appointment. I was induced with Cade due to high blood pressure, and I was terrified this would happen again and we would be booted out of midwifery care and we wouldn’t get to have that experience. I jumped to many worst case scenarios and made my own assumptions which is ridiculous. Blood pressure was definitely a running theme throughout this pregnancy for me. I ate specific foods and took supplements to reduce the chances that it would spike. I worried about it prior to almost every appointment. I got mildly obsessive about taking my own blood pressure at home. But it stayed in check for the whole 40 weeks! I believe this is for a number of reasons, including exercise, diet, mindset and support/continuity of care from the midwives. It turns out I had nothing to be nervous about. Chantal was amazing! She explained everything about midwifery care very thoroughly and understood my anxieties and helped to calm them. She was our primary midwife and we also saw Ros and Janice each twice prenatally, and Ros did most of the postpartum care. I cannot recommend midwifery care enough. It’s worth it to even call and get on the list. Go for the initial appointment and see what you think. The model of care is completely different from anything I have ever experienced. It’s amazing to have continuity of care and informed decision making. Things are presented as options. I chose to get the Gestational Diabetes test done, but it was never mandatory. I chose to have the GBS swab done, but it was never mandatory. I also was able to do the swab myself at the office, which was way better. The level of care is amazing and the midwives are so professional, competent, and nurturing. So upwards and onwards…we got a midwife, we’re going to have a baby, but where? 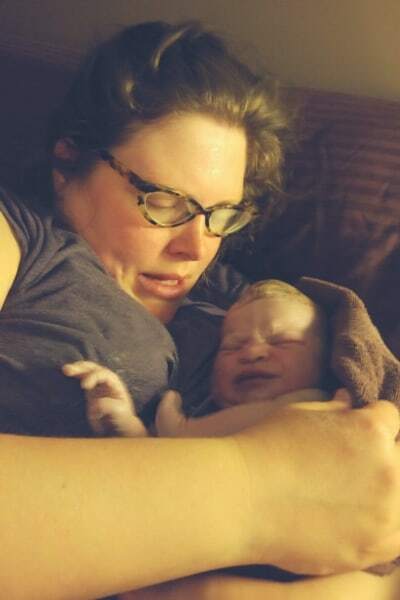 My husband Kyle and I had always talked about having a home birth, both before and during the pregnancy. As I got more pregnant, I got a bit more nervous about it, whereas Kyle was always the calm, confident one. I wasn’t all nerves, but I had some what ifs rolling through my mind. I was concerned about Cade and if something bad happened during the birth, what his reaction would be. I was concerned about some of the logistics. I saw an OBGYN for a consult at about 30 weeks. It was my choice whether I wanted to but Chantal presented it as an option as I had blood pressure issues in the past. She thought it might be good to have some guidelines if it creeps up again. So I went, and it was fine… that is, until she sent the letter to Chantal recommending I have a hospital birth based on my BMI. Maddening. The OBGYN did tell me that as an OBGYN she obviously recommends hospital birth, but did not give reasoning aside from her profession. This threw me off and was actually very upsetting as it felt discriminatory and not reasonable. Chantal and I talked about this a lot and discussed everything including risks. 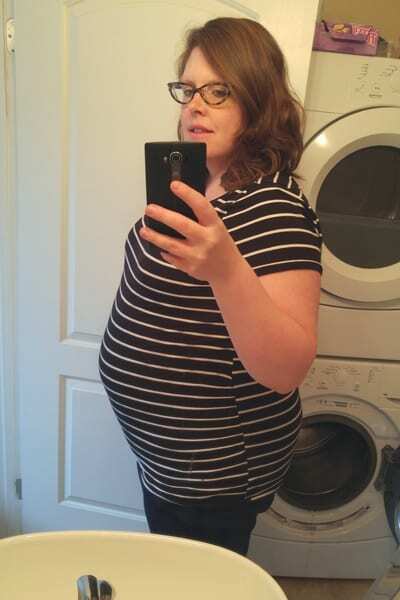 Chantal stated I was not high risk due to one number, and my blood work, health, blood pressure, blood sugar, everything had been great throughout the pregnancy and as long as they remained so, I was a suitable candidate for a home birth. It was so reassuring and amazing to have the support from her, and to have someone in the healthcare field believe in me and my body, though I did need to process this all as ingrained fear messed with my head a bit. that could be used for pain management. It was very exciting to have these items in our home and it made things very real. We blew up the pool around 37 or 38 weeks and it sat in our bedroom, waiting to be used, even though it never would be! Cade was very thrilled that there was a drink holder in the pool. so I could try to get some sleep as I knew it would be a late night. I did get some rest, and then woke up around 10 and decided to call Chantal and let her know what was going on. I wasn’t sure if I should be trying to ramp things up or letting them come. She suggested resting, having a bath, and letting my body do what it needed to do. Kyle ran me a bath and I hopped in. It felt sooooooo good, and the contractions just kept coming. I didn’t want to get out of the tub however I did want to try and lay down for a bit more, so I lasted just over an hour and then got out. I had been talking to my mom and we were trying to figure out when they should come to Saskatoon as they were going to be caring for Cade while everything went down. They decided to leave Tuesday evening and arrived around 11pm. I remember being in the tub and making some vocalizations. My mom was sitting on our bed and I was in our bathroom, and she would say “is that another one? they’re coming closer together aren’t they?” It was all very exciting. Around midnight or 12:30 we decided we should all try to get some rest. Kyle got our bed ready by putting down a waterproof layer of poly and old sheets, as well as some poly for under the birth pool. We went to bed. And after “sleeping” for about an hour, I told Kyle to start timing my contractions because they felt regular. We timed them for a bit and realized they were lasting about a minute, every 5-6 minutes, for the past hour. After a bit of humming and hawing, I called Chantal and she said she would head over to check how things were going. At this point, I think I got out of bed to use the washroom, and essentially as soon as I hung up the phone and got up, my contractions started to come one after the other, right on top of each other. It was so intense, and then I started feeling pushy! I kept telling Kyle to get the pool ready, but not to leave my side, so I’m sure he was torn. He would go try to get the pool all set, and then I would call him back urgently. My mom was downstairs looking out the window waiting for Chantal as she could tell things were really ramping up. since I got out of the tub, and it felt pretty good but I could definitely still feel intense contractions. Chantal said she had to run and get her supplies from her car. I remember feeling like I didn’t want her to leave, but I knew she had to get the home birth supplies. Karen arrived about 25 minutes after Chantal called her, and when she came into our bedroom I said, “Hi Karen” and she said “Hi Trista, I can’t see your face but hi!” It’s funny the things you remember. I could tell from that moment that she would be such an amazing presence to have there as well. Throughout the labour and birth, Chantal and Karen were checking my blood pressure and Maya’s heart rate. Both were excellent. Prior to going into labour I remember worrying that my blood pressure would spike in labour, however I did not think about it once when I was actually in labour. I also thought I would want music during labour, and had an idea of what Spotify station to play (Indie Pop Chillout) however I never felt inclined to have music on throughout at all. Kyle had read certain parts of The Birth Partner and we talked about them prior to labour. When I was in labour, I remembered the part about having a ritual, so I used this to my advantage. I was on my left side for the majority of labour and for the birth, and I developed a ritual where I rubbed my hand up and down my leg in a certain way to help me cope. It helped to distract and focus myself, and I also thought of the contractions as waves that once they peaked, they had to come down, and they are each their own. I also remembered reading somewhere that the contractions cannot be stronger than me, because they are me. After Chantal and Karen were both there, I was getting more and more the urge to push. They both encouraged me to do a lot of deep breaths, as my body can open up more and I can push if I breathe whereas if I am groaning it would be harder to push. This proved to be true and I found it super helpful to breathe through everything, as cliche as it may sound. Chantal thought she could still feel my membranes intact, so we got a lot of towels and what not ready in case my water broke as the baby was being born. Chantal and Karen were both so calm and gentle with me, I felt so supported, nurtured and loved the whole time. I can remember how they touched my body with such love and compassion. I remember how it felt and always will. They both said that if I didn’t want them to talk to me, for me to tell them, but I actually felt comforted by them talking and wanted them to talk to me. Chantal told me to push how I wanted to push and in what position I wanted to push in. I couldn’t imagine getting up and moving around, even though I always thought I would want to push on hands and knees. I stayed on my left side and Kyle held up one of my legs. I think I almost broke his shoulder from squeezing it so hard one time… oops. As I was pushing, Chantal encouraged me to reach down and feel my baby, which I did. I could feel her hair as her head was beginning to crown, although at that time I didn’t know she was a she! My mom was sitting on the stairs outside of our bedroom and Carter was listening to CBC on his headphones in the bedroom. Cade was sound asleep and Lily, out dog, was hiding under our bed probably wondering what in the hell! I remember pushing so hard and feeling every sensation. Yes, obviously most people poop during birth, and I really don’t understand how you couldn’t. It was so intense but bearable? At one point I asked if this was the ring of fire. My mom started to sing Johnny Cash’s hit “Ring of Fire” and this made me laugh. I could feel the ring of fire and there is definitely a reason why it is called that. Yowsas! Chantal was using warm wet cloths on my perineum to prevent tearing and that felt so good. We had talked a lot about this during pregnancy as I tore quite bad with Cade. This helped so much. This time I had a partial 2nd degree tear that was only stitched because it was bleeding a bit, woohoo! She encouraged me while Maya was crowning, to go slow, and to use grunty quick breaths which I did. Chantal told me my mom was waiting on the stairs, and asked me if I wanted her to come in for the birth. I told her I had and my mom was able to come in and witness her granddaughter’s birth. Maya’s head was born and then her body was born right after, at 3:53 am! I felt her being born and wow, so amazing. My water must have broke at some point during the day or evening because there was no water that broke with her birth. She was placed immediately up to me and on my chest and everyone was in awe of this little being. There was a lot of “oh my god! I cannot believe this! Look at all the HAIR!” After a brief moment of tears, love and excitement, I said “what is it? !” and Kyle peeked under the towel and announced to us all that it was a girl. I was shocked, but I’m not sure why because I never had any ‘feelings’ during pregnancy. I think I pictured a boy since we already have a boy. Regardless, it did not matter and we were in love with this tiny little bundle. She was soooo cute, so beautiful, so perfect. Tiny but long fingers and toes. Just perfect. I could not believe she was born in our bed. I remember she didn’t cry immediately but did shortly after, but was super calm and chilled with me for a long time. I asked if she was alright and they told me she was perfect. on the whole time, as when I was going to get out of bed after the birth we discovered the pads still on my back and the machine turned on. I pushed for 37 minutes which is apparently fast for a baby in the posterior position. Chantal said that if she hadn’t been posterior, my labour and birth would have been even faster. Chantal also said to me, “we should tell THIS to the OB”, referring to the fact that, gasp, a woman with a high BMI just had a very healthy birth and a very healthy baby in her own bedroom. I loved that she said that. I held Maya skin to skin while we waited for the placenta, which took about 20 minutes. We had delayed cord clamping and I decided that I did not want the third stage to be managed at all, meaning I didn’t want the shot of oxytocin to expel the placenta, unless need be of course. We didn’t need it and the placenta was birthed just fine. Chantal laid the placenta out for us and explained the veins and everything about the placenta, which was super interesting to see. We didn’t keep it though we had the option to. It would have been cool but realistically, I wasn’t going to consume it and I wasn’t going to plant it for fertilizer. I wish I had felt inclined to but I just didn’t.
. I forgot how messy birth is! But what an amazing feeling to shower in my own shower, and climb into our own bed, freshly made and ready to jump into. There was no mess, no fuss. Karen and Chantal cleaned everything and left us with 1 bag of garbage and 1 bag of laundry. I came out of the shower quickly as Chantal told me Cade had woken up and I wanted to see his reaction to his baby sister. He was stunned and seemed like he was going to cry, not out of happiness. Kyle went with him into his room and took Maya, so they could have a proper introduction. He was immediately in love and hasn’t stopped kissing her since, basically. Cade later told me there were so many people at our house and he thought I had died. So sad! He woke up very early too and I think he was overwhelmed as grandma and grandpa were there and weren’t when he went to bed, and Chantal and Karen, and both Kyle and I were up and… a baby! Lily eventually came out from under the bed to meet the baby too. Once we were all settled, Chantal and Karen packed up and got ready to leave around 6:30am. Carter went and got us McDonald’s breakfast which tasted so delicious after that marathon. Chantal stated I had until 10am to pee, and if I didn’t she would have to come back and do an in and out catheter. Pressure’s on… I tried and tried and tried. I had a bath thinking I could pee in there. Didn’t work. I had to call at 10 to break the news that my bladder wouldn’t cooperate. Chantal came back within 15 minutes and gave me a catheter and thankfully after that I was able to pee normally. I was so wired and on adrenaline all day that I did not even really sleep much. This was a problem considering I had basically been up since 2am Tuesday morning. But I couldn’t sleep and I was cuddling Maya and texting a whole bunch of people all day long. It was so nice to be at home, in our own bed, with our own things, and access to our own food all day. It was also so nice to have our family here to hang out with Cade. Cade skipped school on Wednesday and him and grandpa went and did a bunch of fun things. The whole experience was amazing. I would have another home birth in a second, however we are done with babies 🙂 I often have wondered if the labour and birth would have progressed as smoothly or as fast if I wasn’t at home. I felt so comfortable at home, so at ease, and I know that those things help to promote a safe and smooth birth. I know that doesn’t mean things will go as planned, but in our case, it did, and I am grateful for that. Kyle was amazing throughout the whole shebang too but that does not surprise me. I couldn’t ask for a better birth partner 😉 I felt so great right after having her. It was a world of a difference from having an induced, very long labour, medicated birth, etc. My recovery with Cade was longer, and I was extremely sore for a lot longer. They were two totally different births, and I was meant to have each of them for different reasons. Having a supportive care provider who did not just see my body as being fat and therefore high-risk was amazing. I know that doesn’t always happen, but I know it does happen, and can lead to a downward spiral of unnecessary treatments, anxiety and intervention. Furthermore, having a supportive care provider who touches my body in a nurturing loving way, and treats it as if it is awesome, strong, healthy and capable did so much for my mental health. As I mentioned before, Chantal (and the rest of the midwifery team) believed in me and helped me to believe in myself. She made me feel so strong and competent. The postpartum care we received from the midwifery team was also outstanding. Normally, they do home visits on day 1 (12 hours after Maya’s birth in our case), day 3, day 5 and day 8, however I think we also got home visits on day 6, day 10, and day 12 due to breastfeeding issues. I won’t get into it much, but they are essentially the same issues we had with Cade. If you are curious, ask me as I am more than willing to talk about it! Maya lost over a pound within the first week of her birth, and wasn’t having great diaper output. We first started with me trying to pump and feed that back to her, but I could never pump much. We had to resort to supplementing as well as breastfeeding. We still are doing both, however instead of using the tube for feedings at the breast or finger feeding, I now breastfeed her, and then she gets topped up with a bottle. My supply is very low, despite trying many herbs, galactagogues (oatmeal, flax, etc), a medication to induce lactation, tons of water and food, pumping, etc. It’s hard to accept that it is what it is, but I have for the most part accepted it. Except, when Maya refuses to nurse which she sometimes does, I get worked up and sad about it. I felt so much more knowledgeable and prepared for breastfeeding this time around, and I think a part of me thought if we could have a birth without medication or intervention, things would be better. Biology right? Gotta feed the baby. Nope. Not in my case. I am so thankful to have reached out and received support from friends and family in this aspect (and many others). We have been receiving donor milk to supplement with which has been amazing. Milk sharing (being on the receiving end of it) has a special place in my heart. A friend initiated this by providing us with donor milk, and after we ran out, I reached out to a local group of fairly close knit parents on Facebook. Two moms replied and have been pumping regularly for us which is just amazing and beautiful. I didn’t know them before, but they have become friends and very dear to my heart. Recently we have also connected with a third cousin of mine who has a baby one month older than Maya who produces so much milk she was recently able to give us 700 ounces! My heart is full. If I could ever return the favour I would, a million times over. This whole journey has been so empowering and amazing, from pregnancy, birth, postpartum to where we are at right now. Of course there’s challenging moments. I’ve had days with many tears, but more days that have had none. I am not a fan of night-time parenting, but who is? I get a bit crazy at 3am. My true loving self comes back to life after some sleep. Seeing Maya grow into a little being and seeing Cade adjust to his new role as big brother is truly beautiful. I never envisioned he would love his sister THIS much. I knew he would love her and be so very enthralled with her, but it’s next level love, and it’s adorable. She gets 100 kisses a day from him along with cuddles, some a bit rougher than others. I cannot wait to see the two of them grow together, and I can just imagine what kind of adventures they will find themselves in. 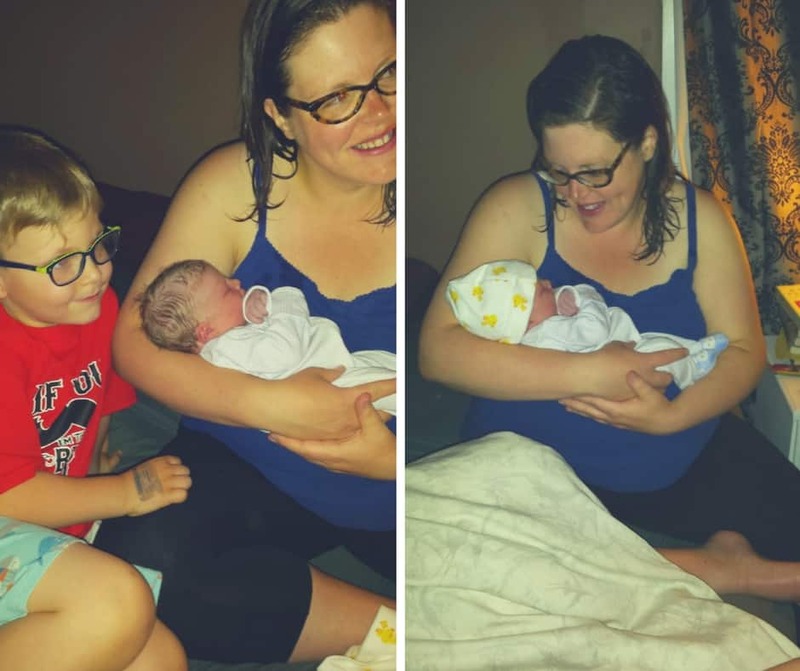 Below you’ll find additional plus size birth stories and you might really enjoy another home birth story like Sarah’s Plus Size VBAC Homebirth Story.